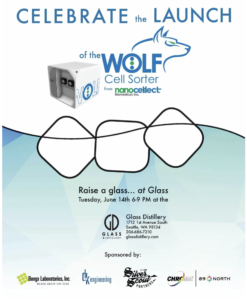 NanoCellect officially launches the WOLF Cell Sorter at CYTO 2016. Come and visit us if you are town. 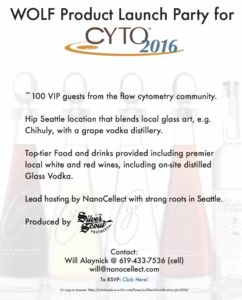 Come celebrate Tuesday night Glass Distileray starting at 7pm (Registration Required).